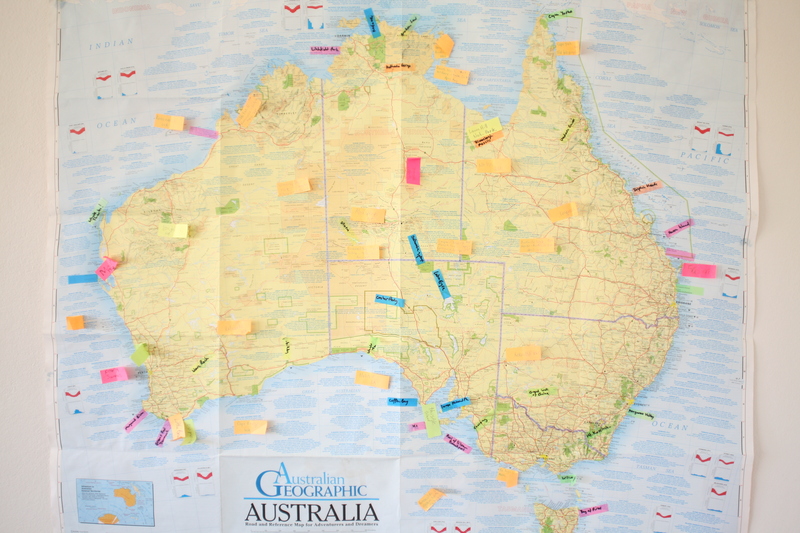 Map of Australia for Travellers & Dreamers – to keep us focused. We have 3 weeks planned in Tasmania from mid Nov, Christmas booked in Kangaroo Island, so we’re filling in the gaps between departure and January. We’ll be starting the adventure in Green Patch, then a practice climb up Pigeon house mountain, before we make an assault on Mt Kosciuszko a couple of days later. That’s our first challenge, so if you have any others please send them in and we’ll consider them. Just remember we have 3 kids 6,7, and 8 and the challenge has to be done by all as a team. From The Snowy Mountains we’ll be making our way to Wilson’s Promontory to do Challenge # 2 – to visit the most southerly point of the Mainland at South Point (guess what 3 other related challenges are?). That one might be a bit challenging getting the kids to hike 16km. We then will head up the Great Ocean drive, through the Coorong, towards KI, with a few stops no doubt in the Coonawarra, for refreshments of the Cabernet variety.